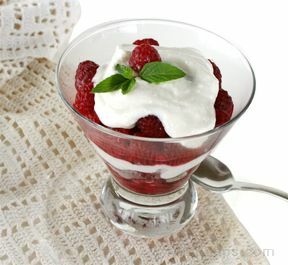 Berry Lemon Mousse Parfait is a quick and easy, no-cook dessert that is refreshing too. Lemon juice, and lemon and vanilla extracts brighten the sweetness of fresh berries to complete this perfect summer dessert. 1. Beat heavy cream, 5 tablespoons of the sugar, lemon juice and extracts in large chilled bowl with electric mixer on medium speed until soft peaks form. 2. Toss berries and remaining 3 tablespoons sugar in medium bowl. 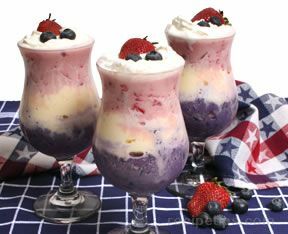 Layer mousse and berries in dessert dishes. Serve immediately or refrigerate until ready to serve.